(TibetanReview.net, Jul17, 2016) – In order to further explore opportunities for dialogue with China, the Task Force on Sino-Tibetan Dialogue set up by the exile Tibetan Administration met at Dharamshala over Jul 15-16. The last dialogue between envoys of the Dalai Lama and Chinese officials took place in Jan 2010. It ended in an acrimonious note with China vowing not to hold any dialogue on Tibet’s political status and the Tibetan side questioning Beijing’s sincerity. 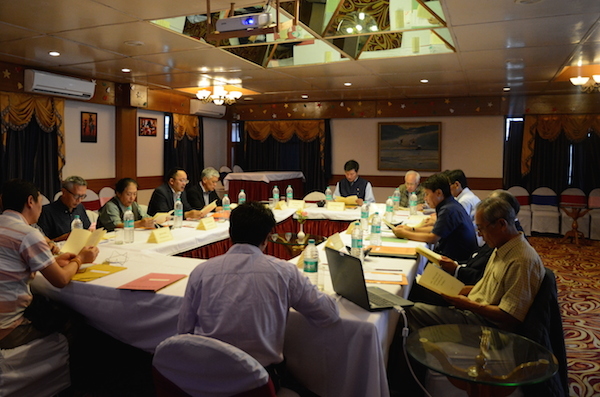 The task force meeting was chaired by the executive head of the exile Tibetan administration, Sikyong Lobsang Sangay. The members of the task force are mostly current and former officials of the exile Tibetan administration. The agenda of the task force is to give recommendations on policy matters and strategies to find a peaceful and mutually acceptable negotiated resolution on the issue of Tibet. This was the 28th meeting of the task force since it was set up in 1999 “to assist the envoys of His Holiness and members of the Tibetan delegation in the dialogue process with the Chinese government”. It was also the 8th meeting of the task force after the last meeting between the envoys and Chinese communist party leaders belonging to the United Front Work Department.